If you watched any of the Winter Olympics the past couple weeks, you witnessed dramatic moments only the Games can deliver. Some literally took my breath away: the edge-of-your-seat overtime shootout in the women’s hockey final (a 3-2 win by the Americans); the exquisite battle for gold between the highly-touted Russians in women’s figure-skating; and the first-ever victory for the U.S. in the team sprint of women’s cross-country skiing, where Jessie Diggins’ come-from-behind lunge at the finish line took the gold by 0.18 of a second. Consider “0.18 of a second” (for a second). The blink of an eye takes twice as long. Now consider measuring 0.18 of a second. Remarkably, we’ve had the technology to do so since the 1950’s. 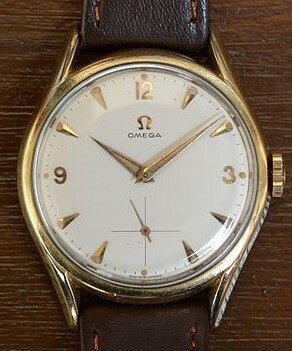 For the Olympics, that precision was provided by Omega, the watch manufacturer from Switzerland. Of course the timekeepers were Swiss. What other country is so renowned for the keeping of time? What other country coordinates forty-six individual railway companies on a single network of tracks, bringing its trains into the stations on-time every time? Where else in the world would you feel more confident banking your cash? Six years ago, Omega developed technology capable of measuring one-millionth of a second. At the Pyeongchang Olympics they used a photo-finish camera capable of ten thousand snaps per-second. The Swiss redefine “attention to detail”. I’ve had an affection for Switzerland from a very young age. As a kid, my introduction took place in subtle ways. Shirley Temple’s “Heidi” was based in Switzerland. The Switzer brand of red/black licorice (still available in “vintage” candy stores) was a frequent purchase. The cute little Swiss Miss in our pantry beckoned me to hot chocolate. As a Boy Scout, I always carried one of the Victornox Swiss army knives. At Disneyland I roller-coasted through a scaled-down replica of the Matterhorn – one of the Alps. I had my first taste of fondue. And for a Suisse exclamation point, I consumed a ton of that “holiest” of cheeses. My ancestry test should’ve produced a little Swiss DNA, don’t you think? As an adult, Switzerland’s products are no less present in my life. Lindt is my favorite chocolate (and I’ve tried my fair share of chocolate). A Rolex watch is still the material equivalent of corporate-America success (though my tastes are more modest – perhaps a Swatch [Swiss-watch]?) Velcro can be found on several items in my wardrobe. Haagen Daz is my favorite brand of ice cream (a product of the Swiss company Nestlé). And a lengthy search for “adult” Swiss licorice led me to Chateau D’Lanz, a family-run business in Washington state producing some of the best. Speaking of Nestlé, the Toll House chocolate-chip cookie recipe is also one of my favorites. Here’s a bit of trivia: Toll House was an inn in Whitman, Massachusetts. Ruth Graves Wakefield is credited with inventing the chocolate chip cookie (by mistake) somewhere nearby the Toll House. The price Nestlé paid for the right to Ruth’s recipe? A lifetime supply of Swiss chocolate. Now speaking of Velcro, here’s another bit of trivia. George de Mestral was a Swiss engineer and amateur mountaineer from the 1940’s. Hiking in the Alps one day, George noticed seeds kept sticking to his clothes and to his dog’s fur. When he returned home, George developed a synthetic “sticking” technology like what he’d found in nature; a hook-and-loop zipper alternative eventually patented as Velcro. The clever name is a child of the French parents velours (velvet) and crochet (hook). Okay, we’ve covered Swiss precision and some world-class products, but I haven’t addressed what makes Switzerland so fetching. How’s this for starters: the entire country can fit within the greater Dallas/Ft. Worth area. 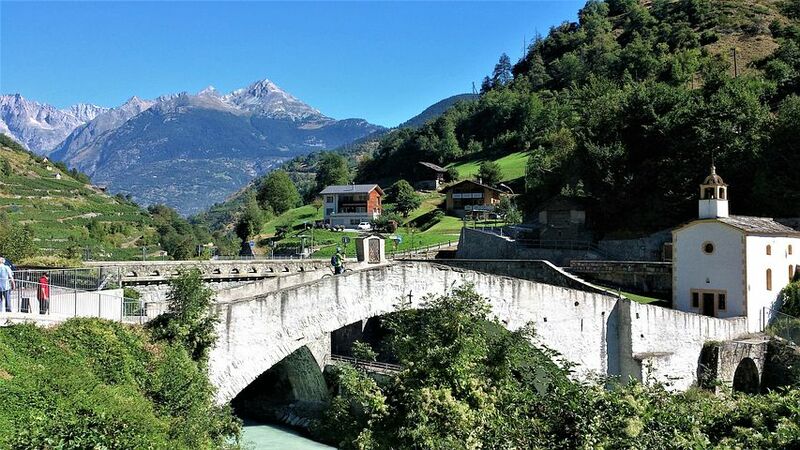 Bordered by France, Italy, and Austria, the Swiss are typically fluent in French, Italian, and German; as well as their home-country language of Romansh. 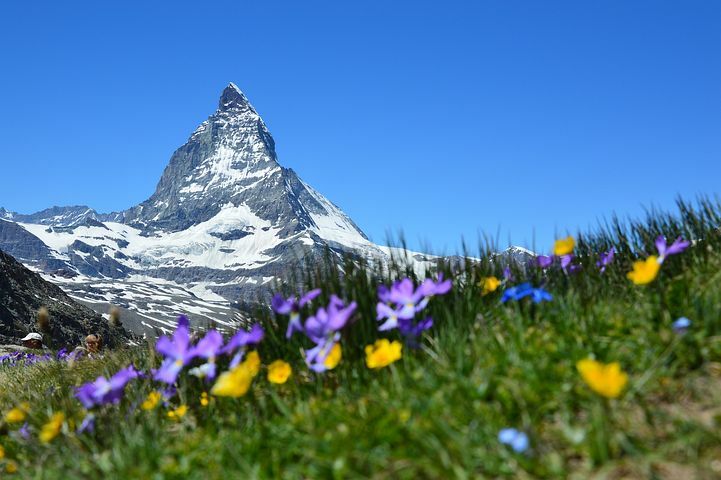 Switzerland produces some of the best in skiing, snowboarding, and mountain-climbing (of course), but also tennis? (hello, Roger Federer). Here’s some more Swiss charm. 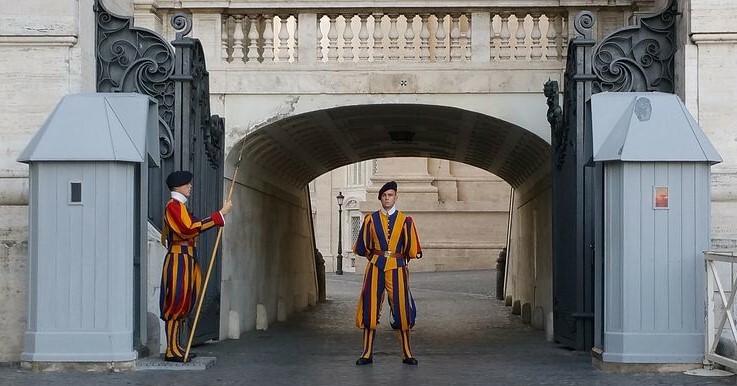 The colorful Guards in the Vatican City are the only foreign military service permitted to its citizens. 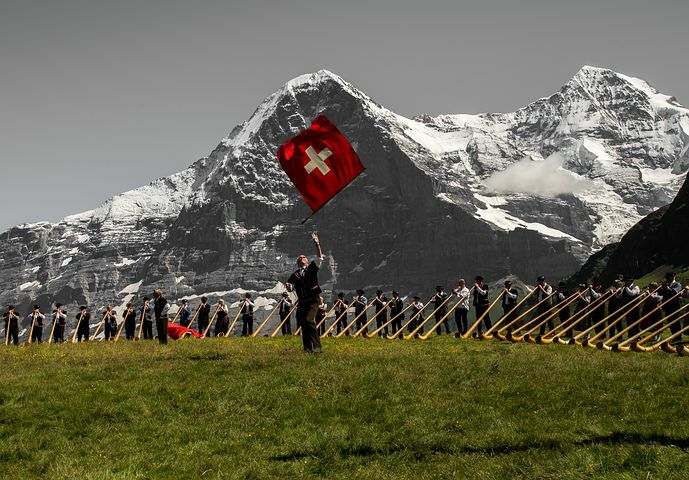 Switzerland’s “non-interference policy” dictates its only participation in foreign wars is typically through the high-profile benevolence of its Red Cross organization. And citizenship in this fair country? You’d better hope you have blood ties through birth or marriage. Otherwise it’ll take twelve years of a special-residency permit, combined with a long-term work visa. Despite my obvious affection, I should probably stay away from precisely enchanting Switzerland. It’s a real country like any other after all, which means not everything comes up roses. Perhaps I’ll cling to my snow-globe impression of the Suiss Alpenland instead: a gentle people living high on the Happiness Scale; the cleanest and quaintest cities imaginable; cobble-stoned streets and chalet-like houses. The magnificent Alps serve as the backdrop, their slopes ascended by rickety cog railways and descended by skillful skiers. Listen for an accordion or a little yodeling. Look carefully enough into my globe and you might even notice the von Trapp family, marching down the mountain trail from Austria, singing their do-re-mi song. This entry was posted in culture, food, sports, technology, travel and tagged Alps, fetching, Haagen Daz, Lindt, Nestle, Olympics, Red Cross, Swiss, Switzerland. Bookmark the permalink.